We invite businesses in the Top of Virginia Region to join the Chamber in a fun, new event! 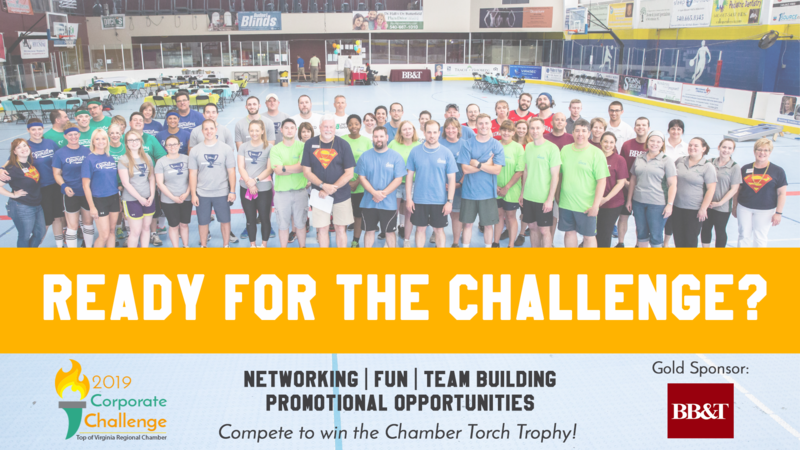 Your team of 6 will display their competitive prowess as they compete to win the Chamber Torch Trophy! The games are simple and fun and reminiscent of those we enjoyed on the playground or in the gym in our youth. No athletic ability is required. Use this opportunity for team building for your employees, to network with other local businesses, and reward your staff with a fun outing for a job well done.